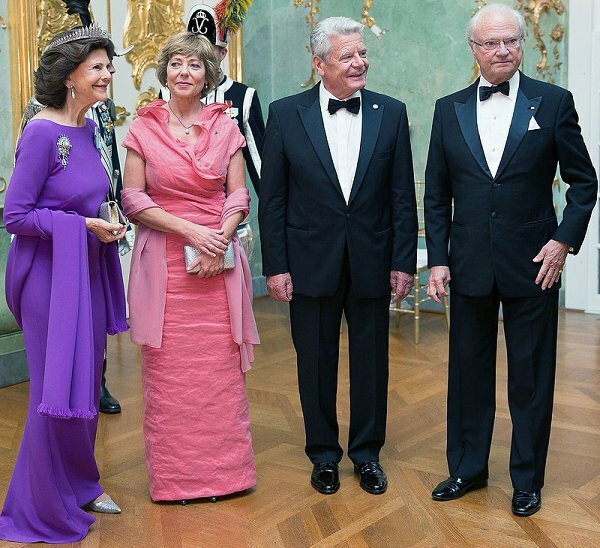 On the second day of Swedish royal couple's visit to Germany, King Carl Gustaf and Queen Silvia, German President Joachim Gauck, his partner Daniela Schadt attended a official banquet hosted by Sweden at the Charlottenburg Palace on October 6, 2016 in Berlin, Germany. The Swedish royal couple is on a four-day visit to Germany. Gorgeous regal color on QS. Absolutely! I like this dress better than the one of the night before. its rarely that the Queen wears the baden fringe tiara. 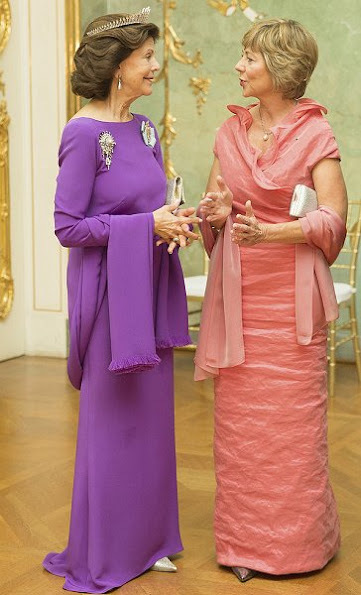 I really love the color of Q.Silvia's dress. 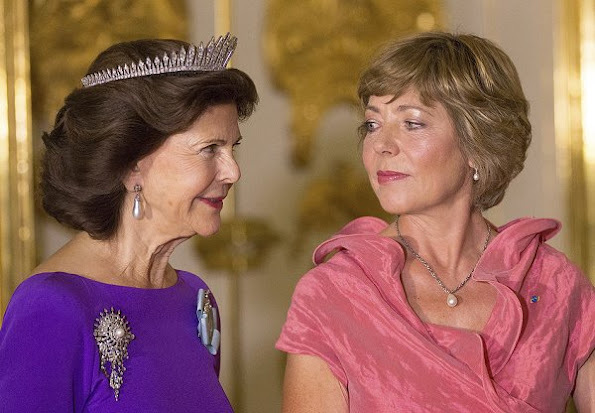 Also love the Baden fringe tiara and that brooch looks so beautiful. Classe et élégance. La reine Silvia est tout simplement sublime. Quant à Mme Daniela Schadt, spécialement sur la première photo, elle me fait penser curieusement à la princesse héritière Mary de Danemark mais en plus âgée. Purple is such a majestic colour, and Silvia is looking looking very majestic ! The brooch is sublime!